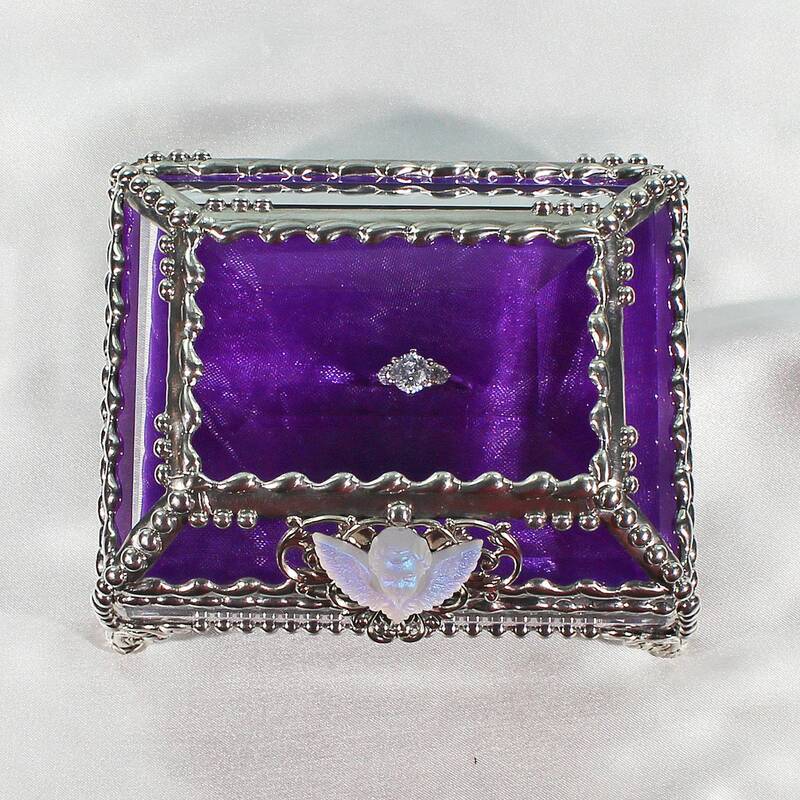 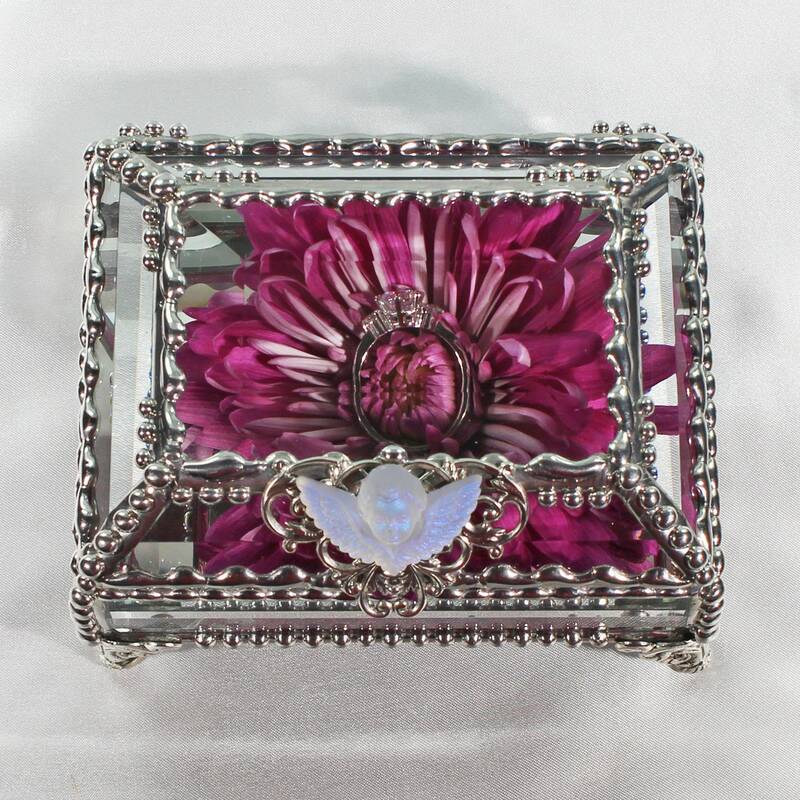 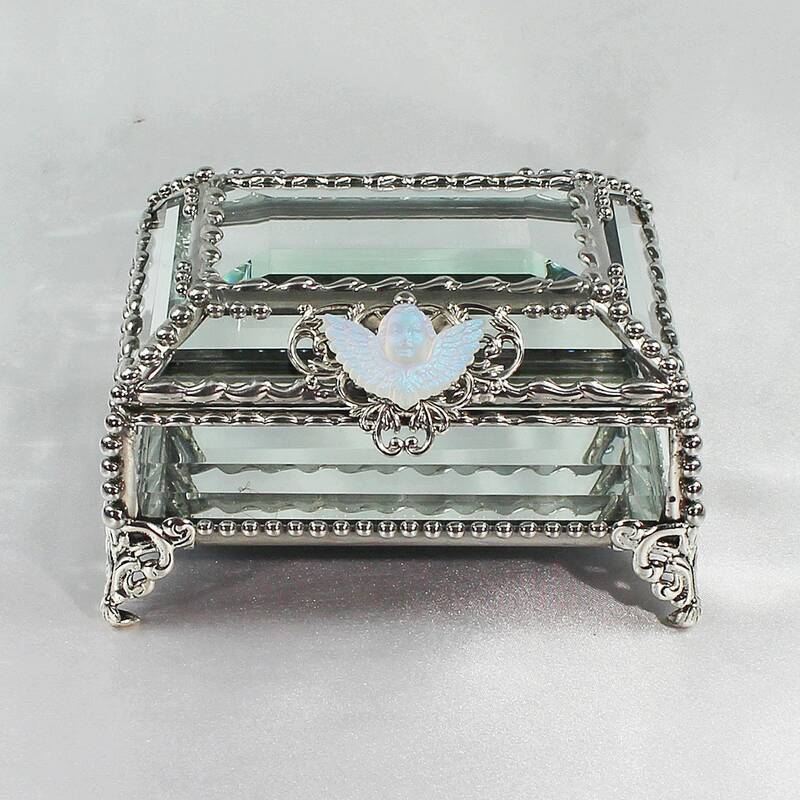 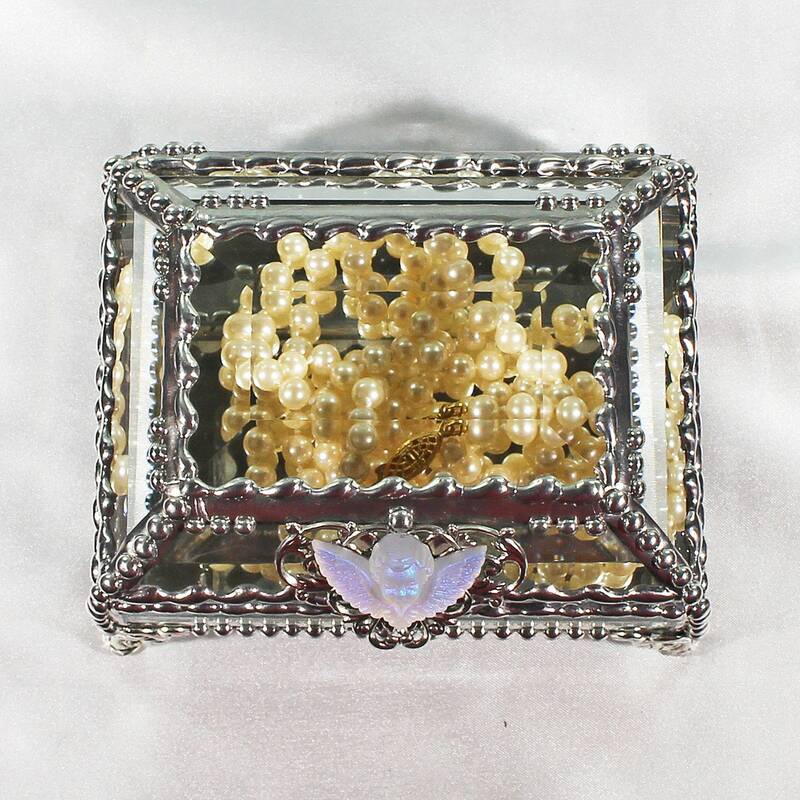 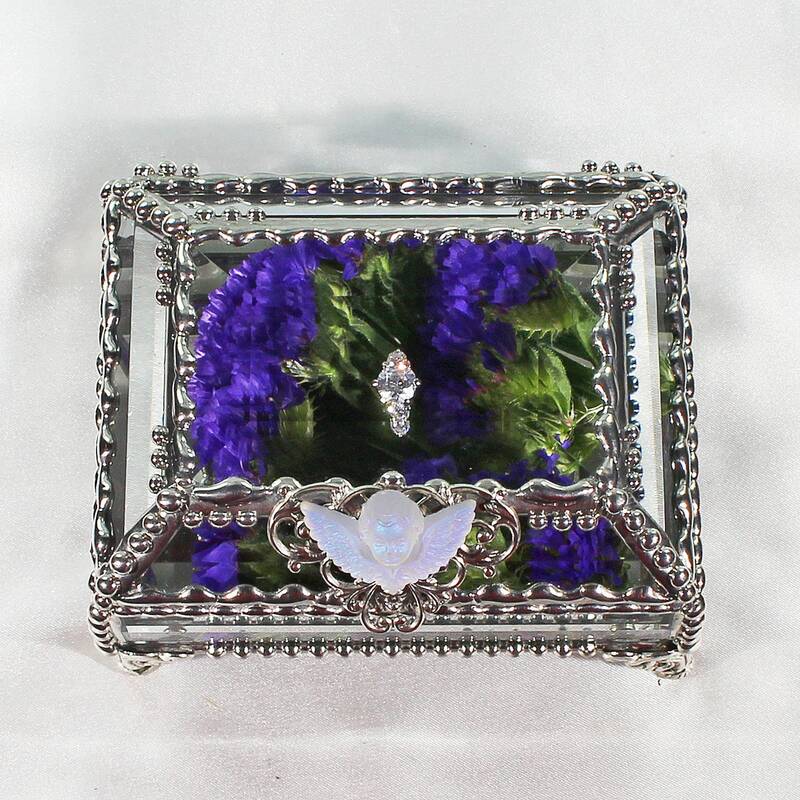 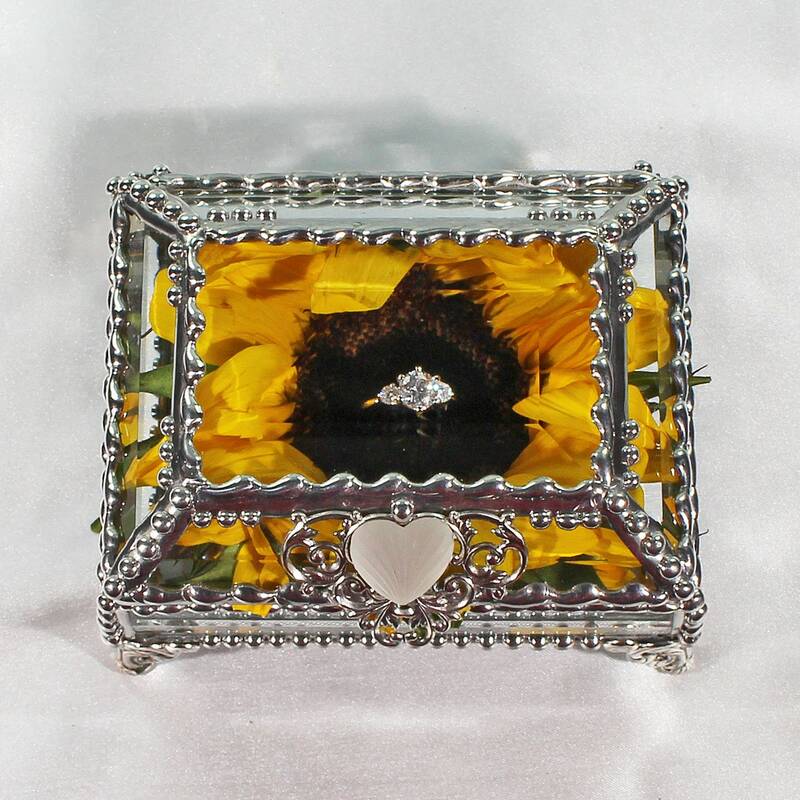 Beveled box with extensive hand worked metal beading, brings to mind the great detail of world famous Faberge eggs and uses many of the same techniques. 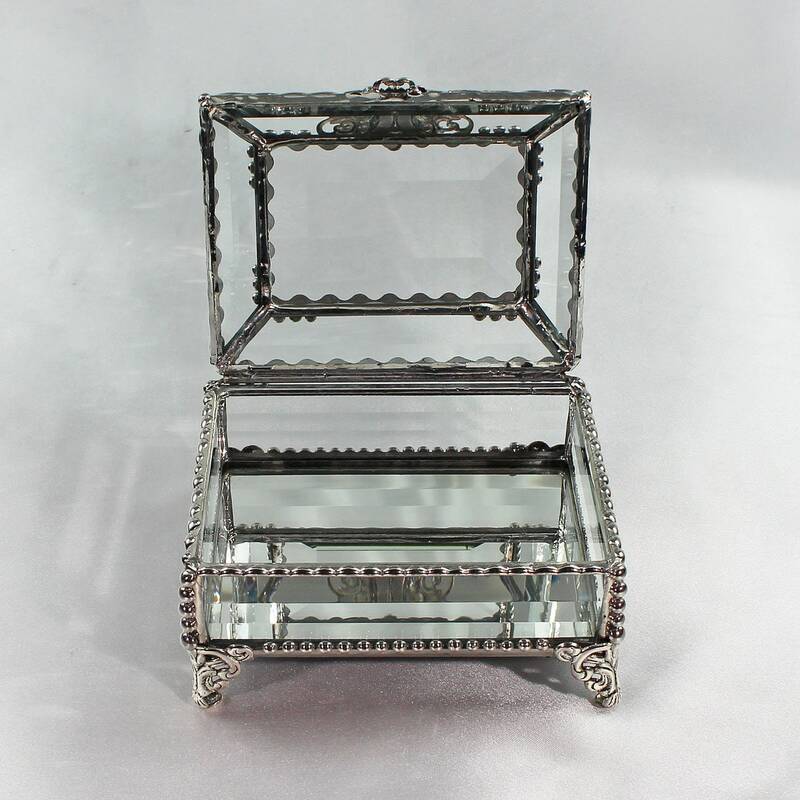 The clear bevels allow light to enter from any direction. 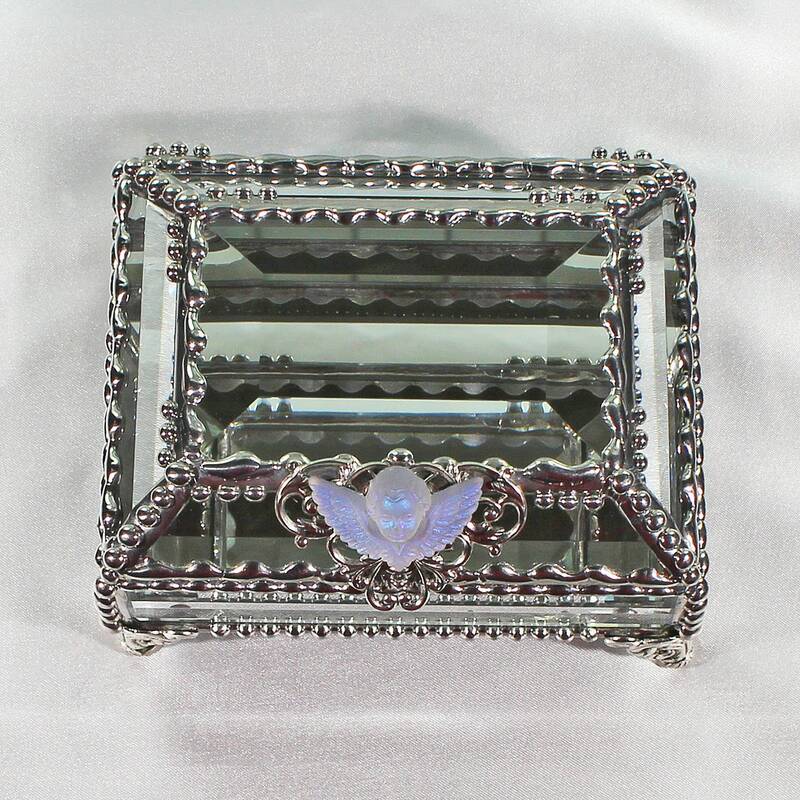 The mirror bottom illuminates the beauty of all objects placed within it and looks like it has been lighted from within, direct sunlight creates a beautiful prism rainbow effect. 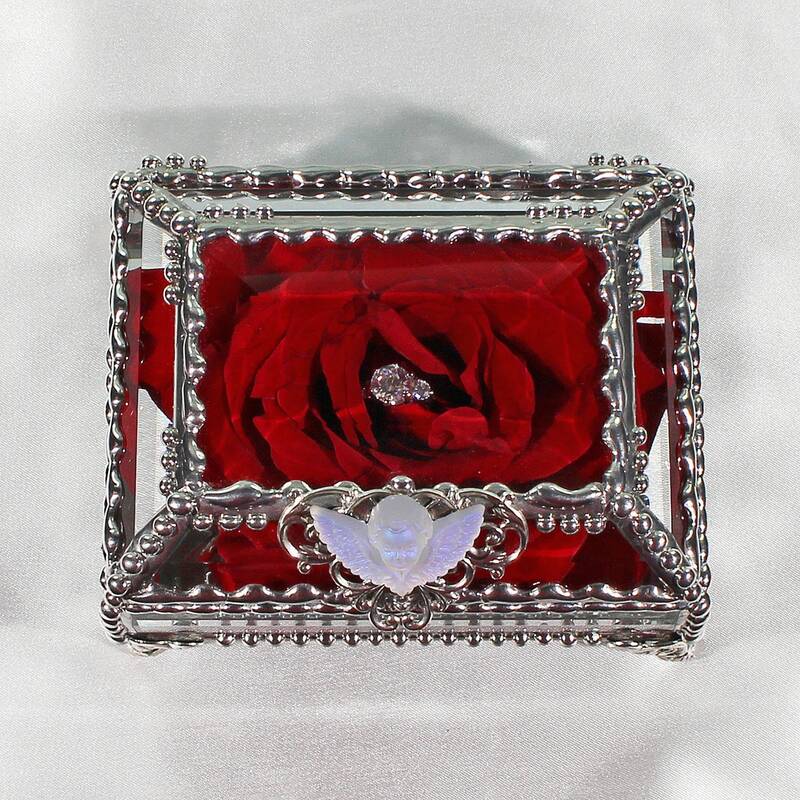 The props used in the box pictures are not included in this purchase and are included only to give you a few ideas on what you can display. 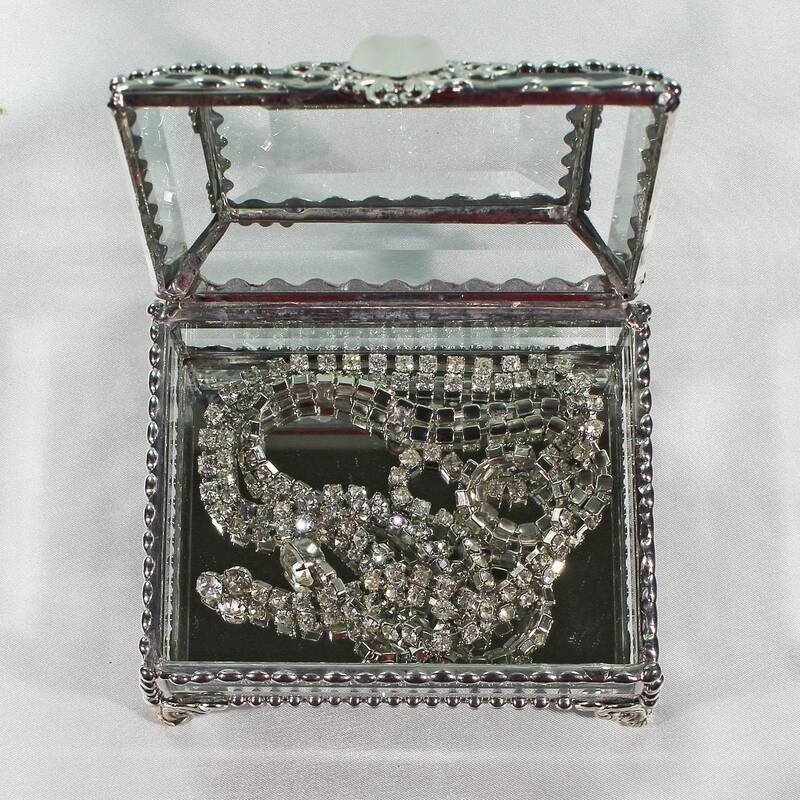 The display pictures may show a different box to illustrate some of the items you can display.